It’s already been a big year for Prana Crafter, with a stunning tape for Beyond Beyond is Beyond released around the first bend of 2018. Bhodi Cheetah’s Choice was draped in the hallmarks of great psych folk (think Relatively Clean Rivers recorded by Six Organs of Admittance), while pulling from the aesthetic traditions of masters like Amon Duul II and Trad Gras och Stenar. That release already made it into the top albums of the year when I ran down the first half tally, but its gonna have a hard time holding on as the Prana Crafter essential of ’18 with William Sol delivering a short-order follow up that cements his status as the new psych-folk class’ frontrunner. 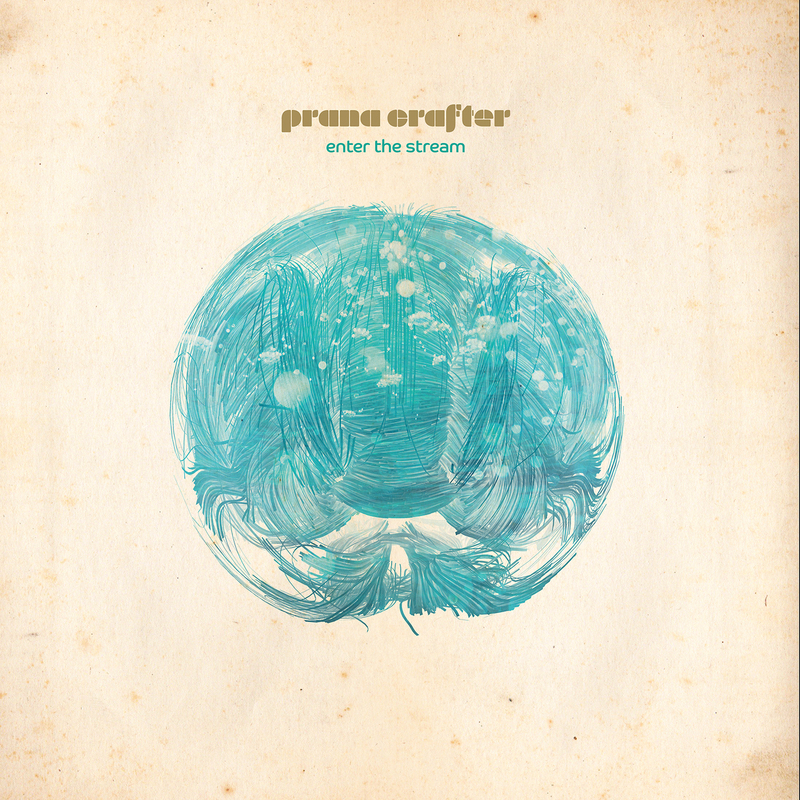 Enter The Stream hits just as hard as the tape that precedes it, digging deeper into the mossy wonderland of humid strums and heat warbled effects that drew me to Prana Crafter’s psychedelic vision. The LP seamlessly snakes between vocal and instrumental folk with an ear towards the grander scale, building a world over its forty-minute run. The album, like some of the best of its genre(s) isn’t wholly interested in seeding your brain with standalone hooks. Instead the whole thing climbs in under the skin and takes root. There’s a darkness permeating Enter The Stream – quiet, lonesome, aching but never wholly consumed by the creeping dread. Its an album at one with the dark, thriving like mind-altering fungus on the dank corners the world forgot and reaching up towards the peeking light that filters down through the tree cover with a tentative curiosity. Sol knows his way around atmosphere and he wields it with the skill and scale of a cinematographer on the album. He builds dread on tracks like “Mycorhizzal Brainstorm” then twists the knife on the ensuing “The Spell.” He balls up tension in the pit of the stomach on “Pillow Moss Absorption” then melts it all away with the orange-streaked closer “At The Dawn.” The album can’t be easily parsed, which I always find an endearing quality. Its not meant for part and parcel consumption, but rather it needs to be absorbed in full, preferably in low light with the weight of the day long behind the listener. If Sol was just teasing us with a release as high quality as Bhodi, then with Enter The Stream he proves that his legacy as a psychedelic force is well under way. This one’s an essential pickup for 2018 and only gets richer with each trip ‘round the table.